Learn about the role of fructose in lipogenesis. Sugar consumption, whether it be cane or beet sugar, high-fructose corn syrup, fructose, or glucose, contributes to greater obesity rates in addition to health concerns such as high blood pressure and elevated cholesterol levels. All sugar void of moderation is harmful, but is there one that generates fat? If you are your own health and wellness journey and are looking for additional support for your blood sugar, Sugar Check is a solution. This herbal supplement was thoughtfully crafted with minerals, vitamins, and herbs to better modulate your blood sugar levels when a healthy lifestyle and eating habits are in place. Learn more about how fructose can spur fat synthesis in today’s post. Not All Sugar Is Created Equal or Plays Nice! In nutrition, the different types of sugar come with differing opinions, but let’s take a look at common sugar compounds. Research has found that fructose and fructose-containing sugars not only raise blood sugar levels but are responsible for creating fat — a fat-switch of sorts. So, if you are struggling to maintain or lose weight, fructose may be responsible for the weight that just seems to hang on. 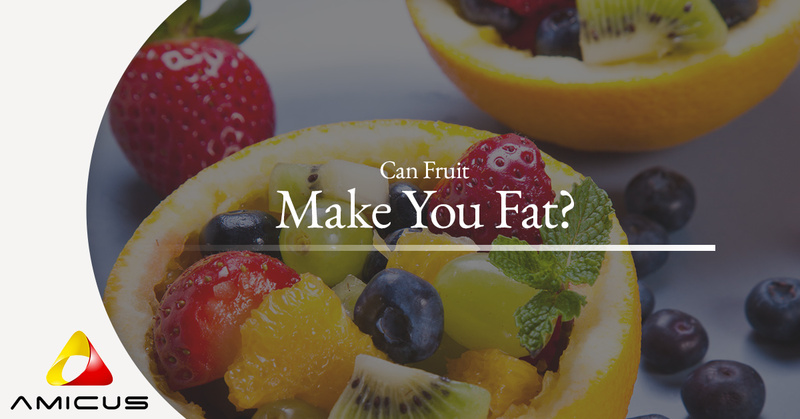 So, does fruit make you fat? Fructose does incite fat synthesis, however, there is a multi-layered answer to this question. 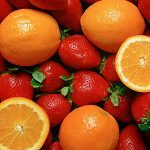 Fruits are abundant in so many amazing beneficial vitamins, minerals, and antioxidants, that foregoing fruits completely, you would miss out on their nutrients. On the other hand, if you struggle with a balanced blood sugar or healthy weight, limiting your fruit intake may be advantageous. Instead, center your plate around colorful vegetables and a small number of fruits lower in sugar — berries are a great choice. It is also important to consider that fructose is abundant in processed foods (nearly everything that comes in a box or a bag) in the form of high-fructose corn syrup. So if you are ingesting both fructose from fruit and processed foods, this can be hugely detrimental. Nearly 500 years ago, the sugar industry did not exist and high-fructose corn syrup was not yet a sweetener. Instead, we had limited exposure to fructose in the form of some fruit, honey, molasses — but it did not contribute to a large majority of our overall food consumption. And then there was the sugar industry! As the sugar industry surfaced, they found cheap and easy ways to extract sucrose from crops such as beets, corn, and sugar cane. 1984 was when we first saw high fructose corn syrup as a cheap sweetener to processed foods. Just like people have gluten-intolerances, you can also have a fructose sensitivity and malabsorption. About 40 percent of Americans suffer from it and it is considered to be a digestive disorder. The symptoms include bloating, diarrhea, and gas as a result of fructose carriers lacking in the intestinal cells. We hear a lot of talk that involves fructose and glucose, so let’s examine these sugars a little more. Fructose has a slower absorption rate, while glucose is absorbed rapidly. Both fructose and glucose are absorbed through the small intestine but have different mechanisms after being absorbed. When fructose reaches the liver it can provide glycerol, which is the beginnings of fat formation. Fructose becomes an issue when you are consuming high quantities of it, whether it is from processed foods or fresh fruit. If you are struggling with high blood sugar or fat loss, ensure you choose wisely the foods you consume. Experience blood sugar freedom with Sugar Check today!